"I try to capture what is authentic and unique to eastern North Carolina: people making an honest living by working hard on the land and the water, farming tobacco and peanuts, fishing and crabbing." Tom Spencer '10 adjusts the shutter speed on his camera to blur the powerful wake created by a 5000-horsepower engine while keeping the 74-foot yacht in focus. "The speed of that boat is a feat of engineering, and I need to capture it in one image." 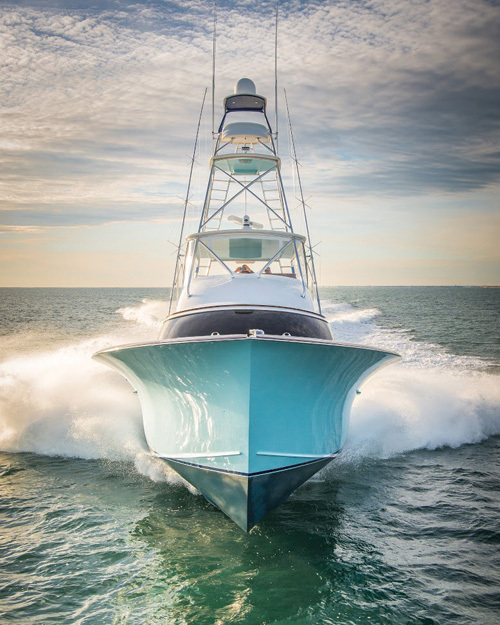 Photographing high-end, custom-built yachts and covering sport-fishing tournaments up and down the east coast, Spencer has carved out a niche in the freelance photography world. 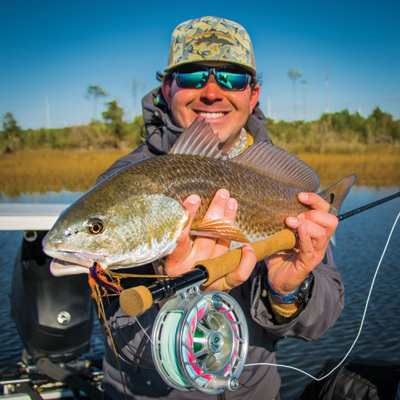 His images have landed on the pages of Anglers Journal and the cover of Marlin Magazine, even taking him to the skies to catch the action from the open door of a helicopter. He calls the experience exhilarating: "There's nothing like it when the helicopter drops three feet off the water, traveling 40-something knots in reverse, and there's a 70-foot sport fisher coming straight at us. I'd rather be up there than anywhere else in the world." The results are stunning aerial shots that capture the power and beauty of handbuilt Carolina boats on the open seas. With characteristic humility, however, Spencer takes little credit. "It's not me," he claims. "The pilot of the helicopter does all the work--I just push the button." A history major at Hampden-Sydney, Spencer never pictured himself as a photographer. "I'm Thomas Spencer the Fourth," he proudly claims. "Every Tom Spencer before me worked in the tobacco business at least for some time, so I wanted to follow in their footsteps." While the North Carolina native has built a successful sales career in the tobacco industry, the hobby he discovered at H-SC has brought him a different type of fulfillment as a freelance photographer. After seeing the work that a Kappa Alpha fraternity brother created in a fine arts class at Hampden-Sydney, Spencer signed up for a basic photography course with Professor Pamela Fox in the spring of his junior year. "I don't know--maybe she saw something in me that I didn't see in myself--but Pam always made herself available to answer questions and give extra instruction; she never held anything back. I've since learned how rare that is. In the competitive world of photography, it's amazing to find someone willing to share their tricks and secrets." Spencer's first gig as a paid photographer came through another Hampden-Sydney connection, when a friend's father asked him to photograph job sites for his contracting firm. "He had seen a few of my photos on display in the Atkinson Museum at graduation, so he offered me a six month stint at Southern Piping Company while I searched for 'a real job.'" It was Spencer's first experience with a digital camera and photo editing, and it helped put into daily action the technical instruction he had received in Fox's classes at H-SC. Once he began working in sales, though, he no longer had access to a digital camera. "They always say the best camera in the world is the one that you have with you, so I started documenting my hobbies of hunting and fishing with what I had in my pocket: an iPhone," Spencer says with a chuckle. During this time, he discovered himself as an artist. "Honestly, without the focus on technical settings, I got back to the roots of photography that I learned at H-SC: composition, lighting, shadows, and visual interest." However, he missed the feedback that he received during weekly critiques in Fox's photography classes. "We would choose our best photograph of the week to share with the class, then we'd talk about what worked and what didn't, what we liked and what we didn't like about each photo," Spencer recalls. He says he found a similar forum on social media, though. "Instagram provided the honest feedback I needed. People tell you exactly what they think--it's instant critique." Over time, Spencer invested every tax return and bonus in photographic equipment, starting out with used cameras and lenses. He's come a long way since shooting on an iPhone, but he still keeps it simple. "It doesn't matter what kind of camera you use--it's not about the equipment," notes Spencer. "A $6,000 camera doesn't guarantee the photograph will evoke emotion." 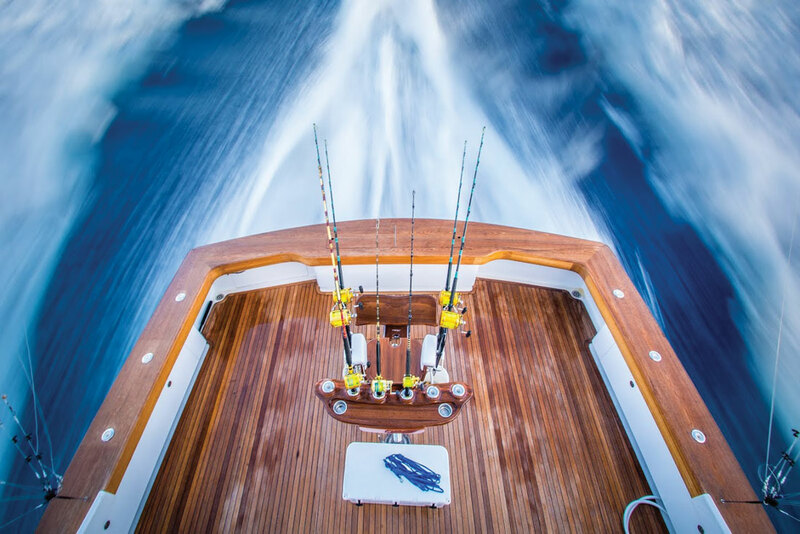 Spencer's shots of sport fishing and custom yachts are some of his best-selling and most frequently published prints. But he's equally passionate about using his art to document the traditional Carolina way of life, a way of life he fears is slowly disappearing. He explains, "I try to capture what is authentic and unique to eastern North Carolina: people making an honest living by working hard on the land and the water, farming tobacco and peanuts, fishing and crabbing." This portion of his work is heavily influenced by his background as a history major at H-SC. "Eastern North Carolina is still full of a romantic way of life that may no longer exist when my infant son is 20 years old," Spencer says. "I take any chance I get to photograph the farmers and fishermen, because it's the history of my state. 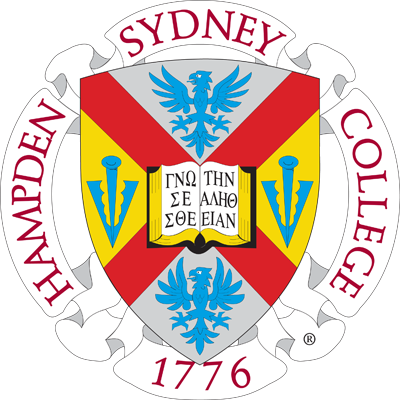 It may not be as old as the history I studied at Hampden-Sydney, but it's my history." Unlike many photographers who name their companies eponymously, Spencer chose the name Fish Hunt Photo for his freelance business. "I don't want my name to be all over these photos," Spencer says. "I want to be the person on the sideline that nobody notices sitting there--the silent observer." The business name was inspired by an old hunting cabin called Fishhunt, located off the coast of North Carolina on tiny Hog Island. "I love to fish, I love to hunt, and I'm on the hunt for great photos of both," he explains. In many ways, the rustic cabin symbolizes Spencer's motivation as an artist--his love for the outdoors, his passion for rural North Carolina, his nostalgia for a fading way of life. "There's a story to be told without saying anything at all," says Spencer. "That's what I'm trying to accomplish." And Tom Spencer's photos do tell the story of his native North Carolina, one that is vibrant and complex. It is the exhilarating story of sport fishing and powerful engines and hand-crafted luxury; it is the bittersweet story of a dying commercial fishing industry and a slower pace of life and honest labor under the harsh sun. It is the story of a silent observer capturing fleeting moments in the nick of time.